Proper posture is essential to one’s health. It is especially true that poor posture, over an extended period of time, can cause back problems or impede the ability to walk. In certain cases it may even lead to an increased risk of falling. UPRIGHT provides a warning signal when your posture worsens, allowing you to correct your posture and resume walking upright. 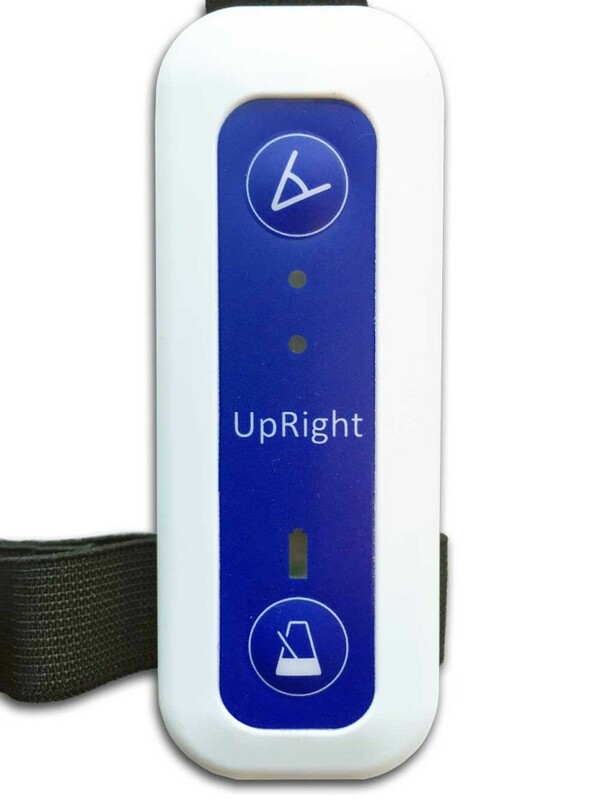 UPRIGHT an innovative tool for Parkinson’s posture treatment & training. 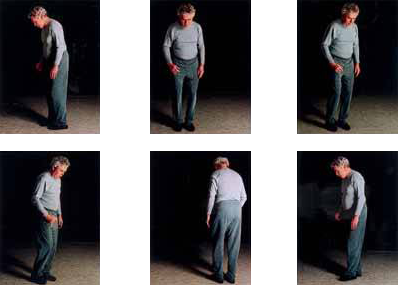 Read More..
A number of people suffering from Parkinson’s also have trouble walking. They shuffle, ‘freeze’, fall or simply are not capable of starting to walk. 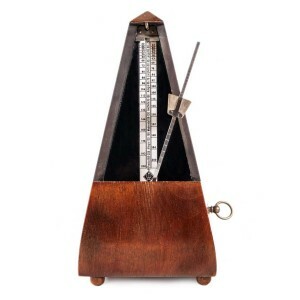 UPRIGHT provides support whilst walking by way of an audible or physical cueing signal (metronome). These external stimulants help the brain to improve the ability to walk. During the practice therapy you will be told immediately when your posture worsens. When at home you often do not realise your declining posture, either bending over forward or to the sides, until it is pointed out to you by your partner or a relative. UPRIGHT lets you train your posture at home whenever you like. It will provide you with insight into your posture and provide for long-term improvements. Most users indicate that they enjoy using UPRIGHT in conjunction with going to their physiotherapist, this is especially the case for those with advanced posture problems. They train weekly for at least two to three hours a week. The physiotherapist will easily be able to see whether your UPRIGHT is calibrated properly to suit your needs or whether adjustments need to be made. To prevent future posture problems, physiotherapists recommend to start using UPRIGHT as early as possible. This will delay the decline of your posture and in certain cases prevent it all together. UPRIGHT is the best way to combat poor posture. UPRIGHT is an innovative tool that provides an audio- or vibrating-warning signal when previously set angles of one’s posture are exceeded. The UPRIGHT contains a metronome to assist in both getting you to start walking as well as to ease the walking process. 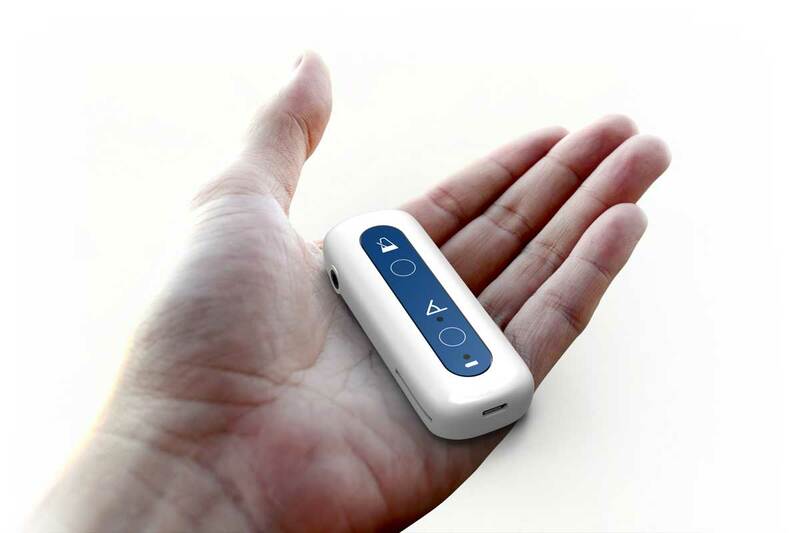 UPRIGHT is small, robust, inconspicuous and easy to use. Only the primary functions can be operated while in use, altering the not to be exceeded angles can be done by way of a computer using the provided UPRIGHT software program. Adjustments can be made individually or under the guidance of your physiotherapist. Ordinary daily use does not require a PC.